Where there’s a will there’s a way. You might be probably surprised for the usage of this proverb here at this article. But it is true that today, even a small drop can make a considerable change in an ocean. Likewise, to eradicate the evil called corruption from its very root, the youth in the city is working really hard, making people aware at every cost, via different ways, for which we must be proud of. 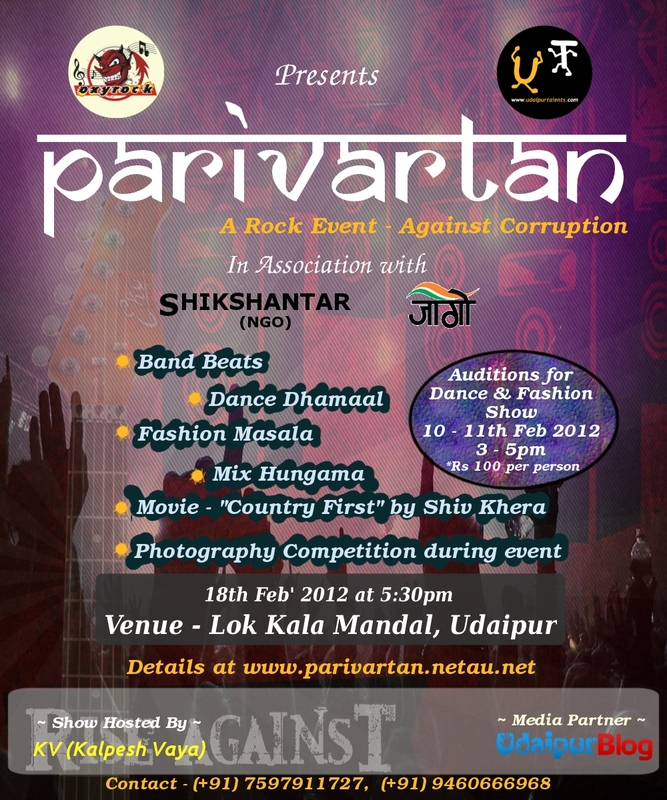 In the series, Udaipur Talents, and the famous Rock Band “Oxyrock” are organizing an event, “Parivartan – A Rock Event Against Corruption“, on 18th February 2012. The step in the form of Social Awareness Mega Event has been appreciated and hence supported by the youth NGO from Udaipur, Shikshantar, as well as Jago Party. The main attraction for the event will surely be, as of course the name suggests, the famous band Oxyrock with their mind blowing performances, and screening of the movie “Country First” by Shiv Khera. Also, to encourage the participation of the city youth, there will be group dance competition as well as fashion show for Udaipurites. 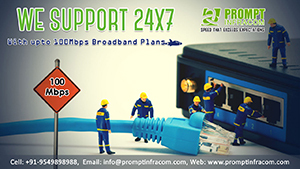 The screening for the same will be done via auditions, which will be held at Central Public School, New Bhupalpura, Udaipur. The auditions will be taken on 10th and 11th Feb’2012 at 3-5 pm. The entry fees will be Rs. 100 per person, and there can be any song and theme at the time of audition, but the theme for fashion show on the final day will be Rajasthani, and the group dance competition shall be patriotic (strictly). The group dance winner will be awarded a cash prize of Rs. 5000, and the winner of the Fashion Show will be awarded Rs. 2000 cash. The main event shall be held at Bhartiya Lok Kala Mandal, from 5:30 pm onwards, and entry to this main event is absolutely free of cost. 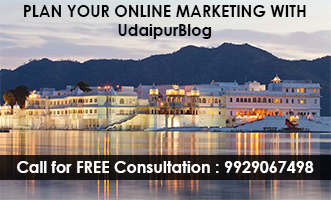 Your own online portal as well as friend UdaipurBlog is the proud media partner for the same. Do participate in large numbers, and spread awareness against corruption in every possible nook and corner of the society.